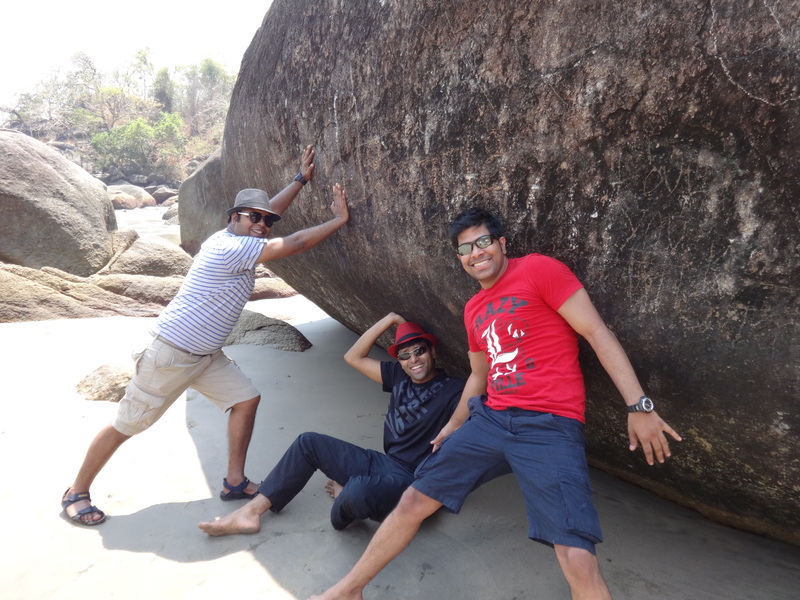 The allure of a Mumbai to Goa road trip had not left me since I had first watched ‘Dil Chahta Hai’. 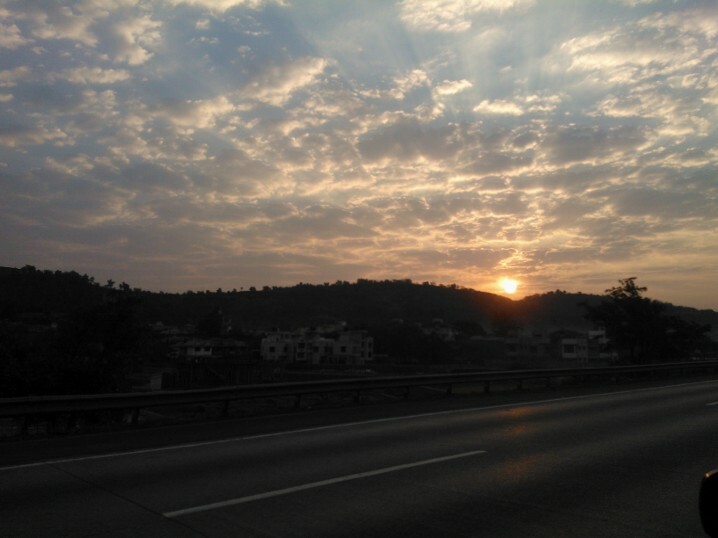 The movies beautiful and fun filled depiction of the drive to Goa and Goa itself had made me want to do a similar trip for a long time. 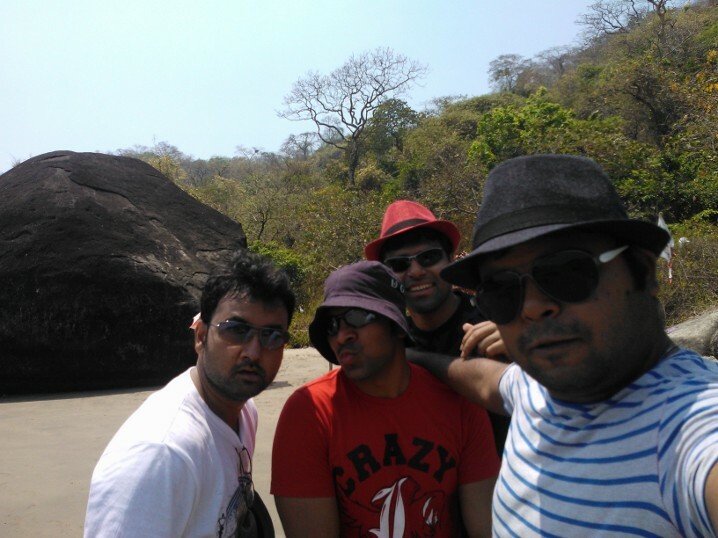 So when a group of friends planned such a trip, I happily joined in. And what a trip it was! 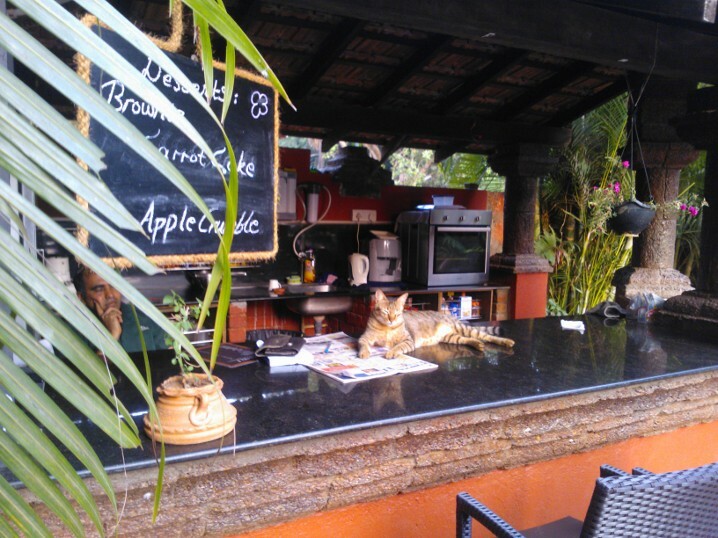 When the feeling of being with some of your best friends combines with the festive atmosphere of Goa against the scenic backdrop that only Goa can provide, it creates a heady cocktail that can both blow your senses and sooth them. 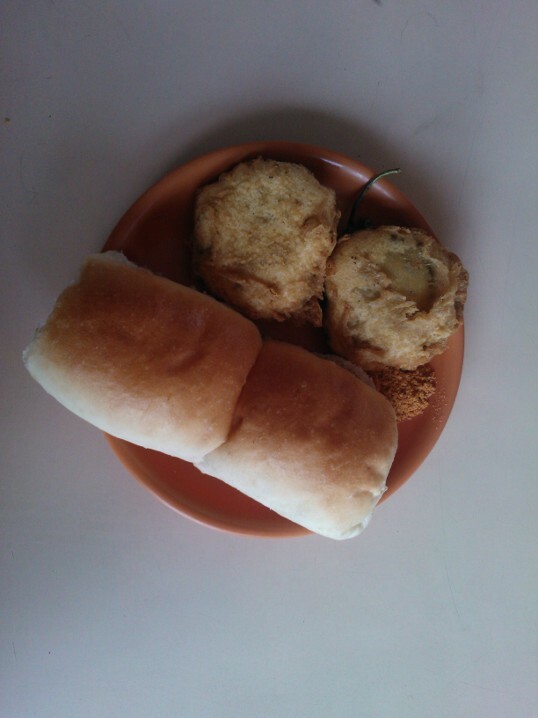 And it is the ability to cater to both these extremities that defines the Goa experience. 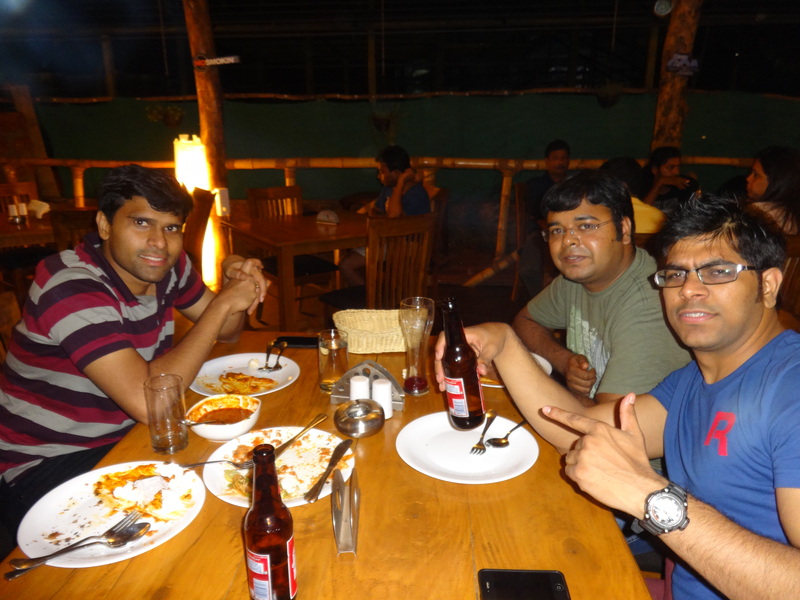 We spent the first half of our time in South Goa. 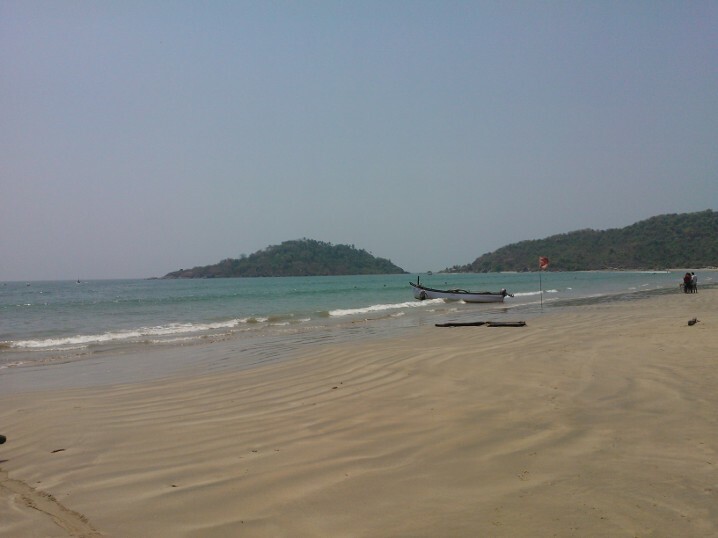 We stayed at a resort on the Palolem Beach. 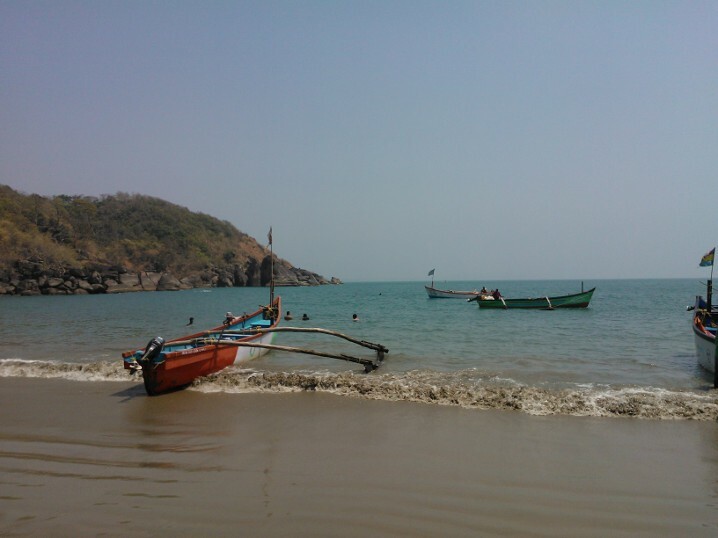 South Goa is scenic and peaceful. It is an ideal place to spend a few days away from the humdrum of our usual city lives. 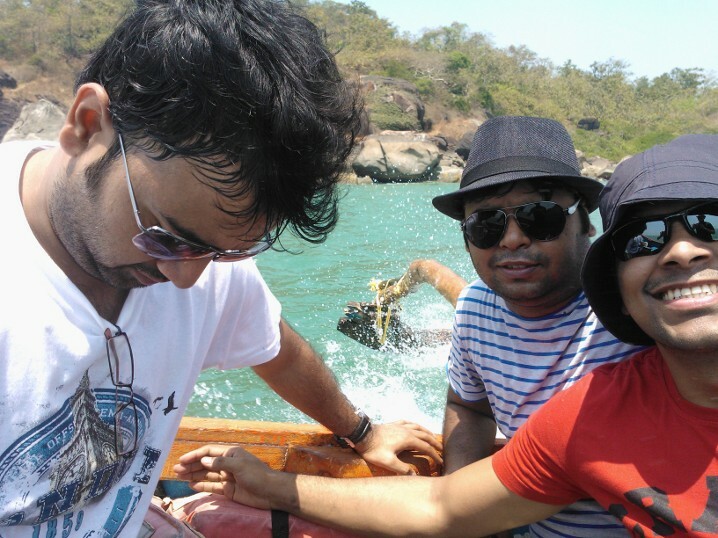 Honeymoon island just off the Palolem beach is a beautiful spot for couples but the four of us also managed to have our fair share of fun there. We managed to even spot a school of dolphins just off Honeymoon island. 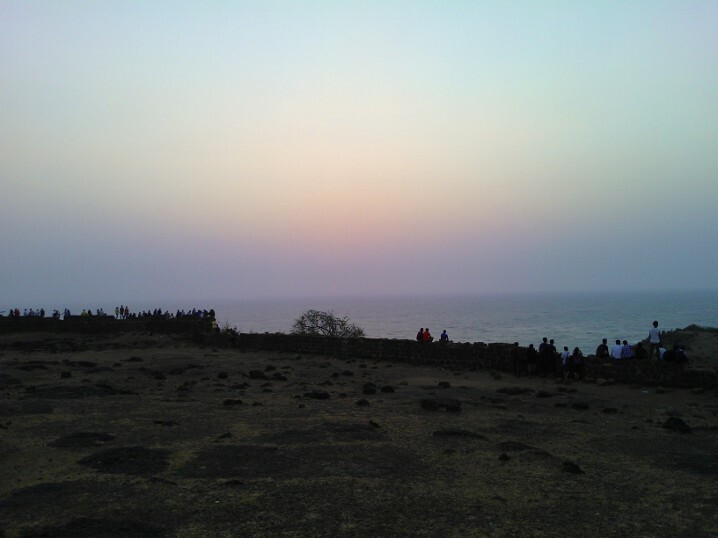 North Goa, where we spent the other half is quite the opposite of South Goa. It is a place abuzz with activities and thronging crowds. 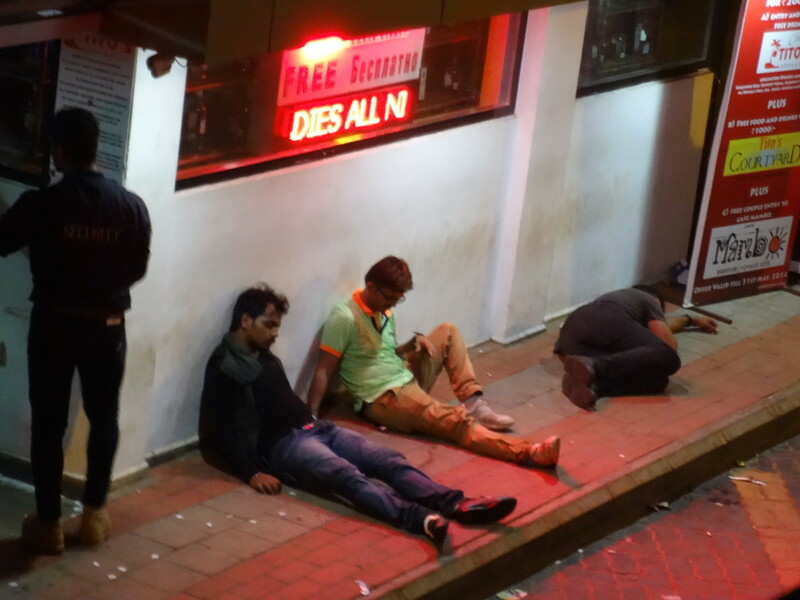 The ultimate place for the party animal and pub hopper in you! 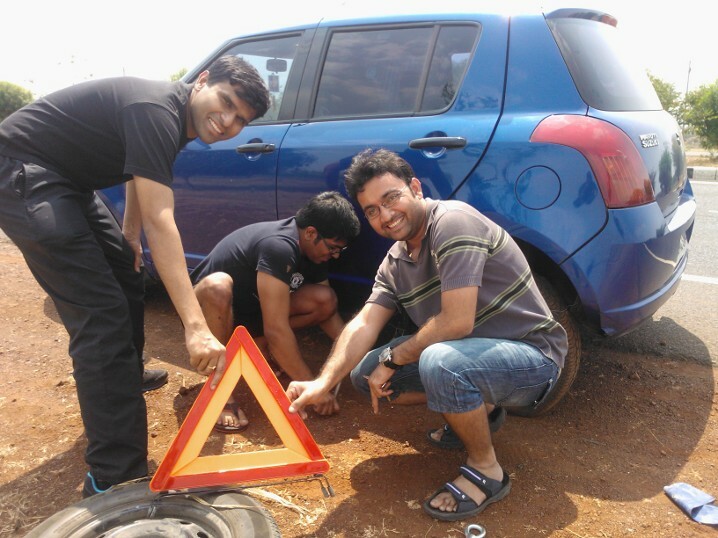 However, it is not just the destination that was exciting, our drives to and from Goa added to the fun and provided awe inspiring views of the countryside and the ‘Ghats’. 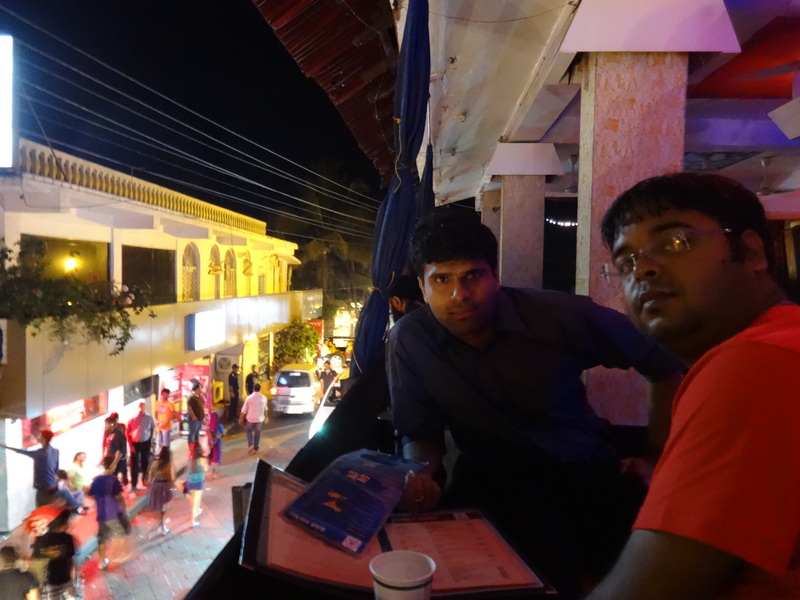 What follow are pics that defined my Goa experience. Between the weather being quite warm and balmy and a near accident, we managed to have good fun. On the boat to honeymoon island! Trying not to push it too hard! 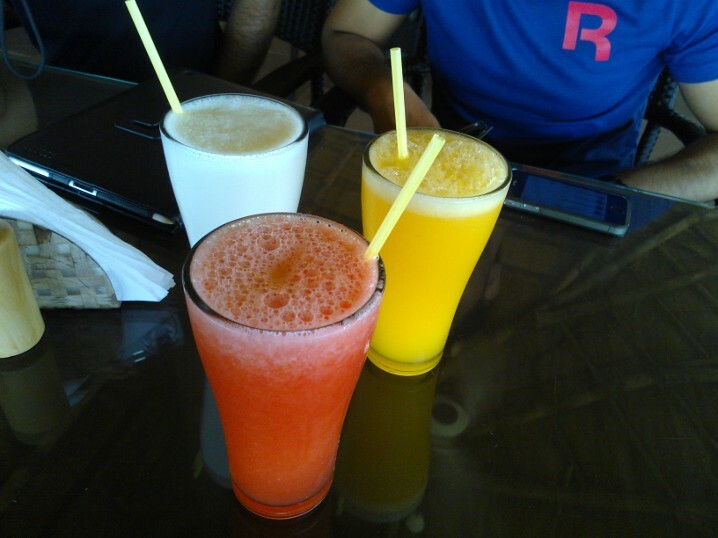 Coolers to beat the Goa heat! 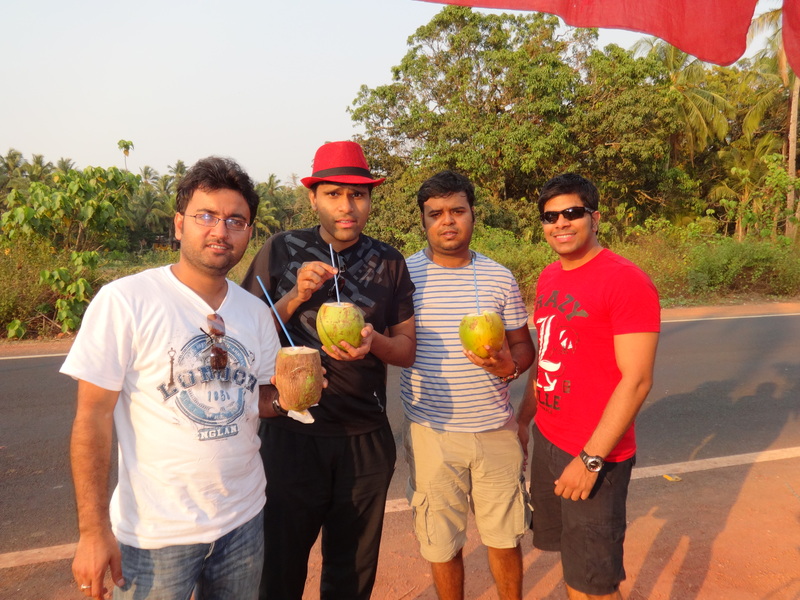 The gang having coconut milk on the way to North Goa from Palolem! 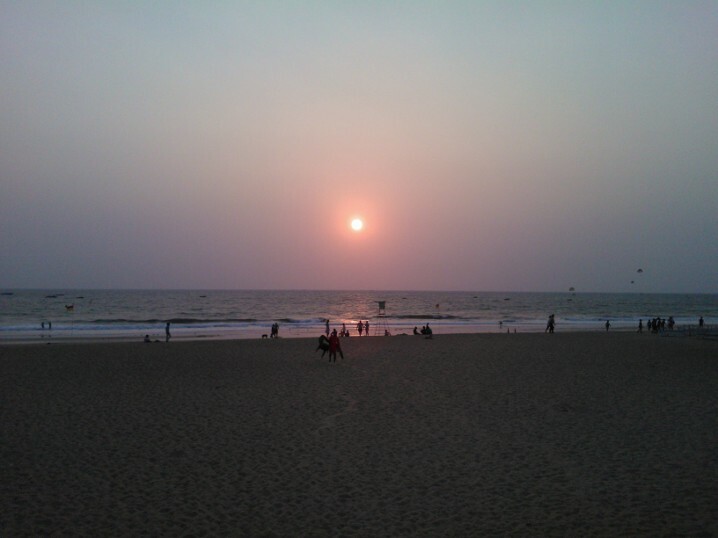 Sunset at the Calangute beach! 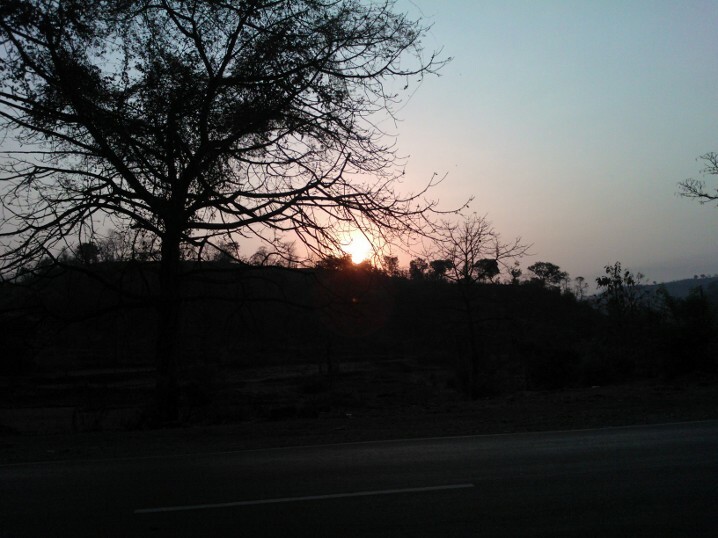 Sunrise on the Panaji Panvel highway somewhere in the ghats near Raigad! 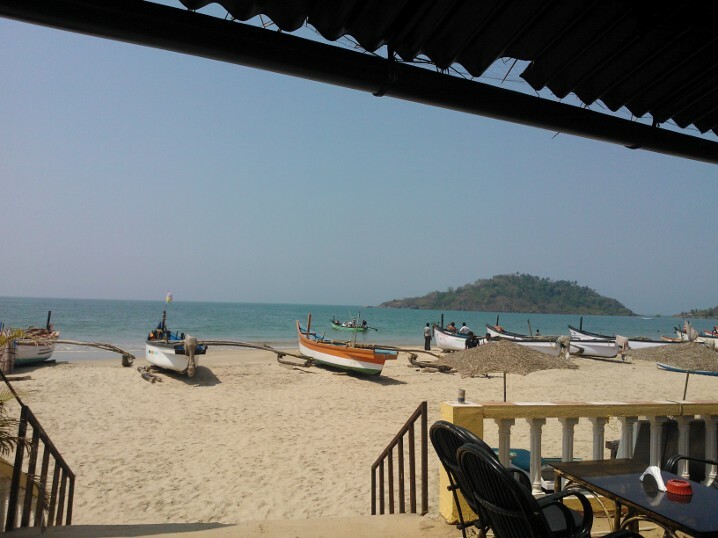 2 comments to Simply Goa! The way you describe thngs,place 🙂 …just Awesome Abhigya!!!!!!!!! !